It looks like it was part of a low wall of some kind or an entrance to some kind of Houdini attraction? 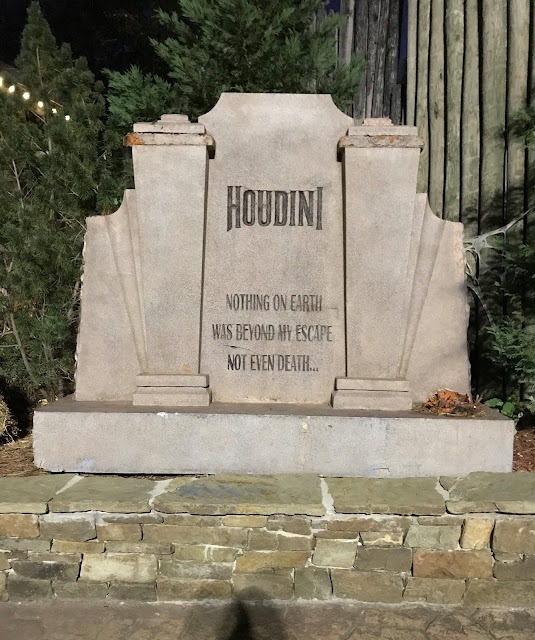 Yeah, it could be that a past FrightFest maze had a Houdini theme, and this is all that's left. Have you heard about the Houdini escape room, in the House of Torrent in Austin Texas? I went this past Sept. on a light on private tour so the room was dark and I didn’t get to play it... but I got to see the room and video that had an actor as Houdini-he was pretty good.